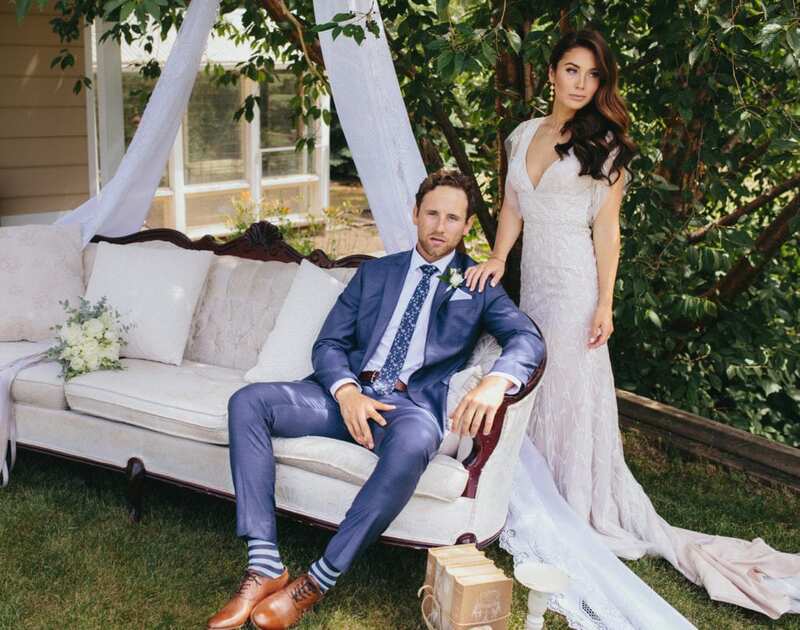 As Ryan chased after his Hockey dreams, making it to the NHL and bringing home the Stanley Cup with the Chicago Blackhawks, he continued to support Kirsten in her schooling as she continues on to get her master’s in psychology. He has recently signed with the Edmonton Oilers and they are more than excited to start their lives together in their hometown. 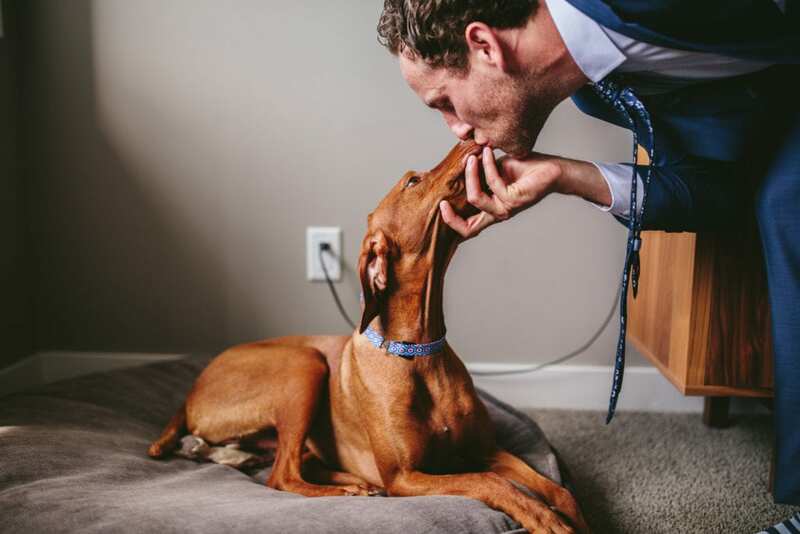 Their wedding day was as perfect and unique as their story. Kirsten and her bridesmaids spent the night together and woke up to a chef’s breakfast prepared by the bride’s father. 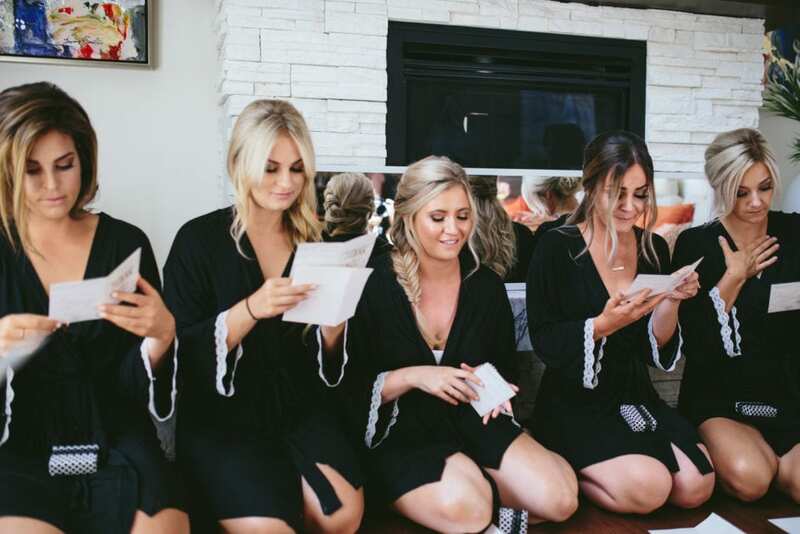 They all got ready together, were presented with gorgeous gifts and thank you notes given to them by the bride, and watched with tears in their eyes as they saw the bride in her dress for the very first time. Ryan also had gifts for each of his groomsmen with thank you notes included and had a special gift delivered to his sweet bride. 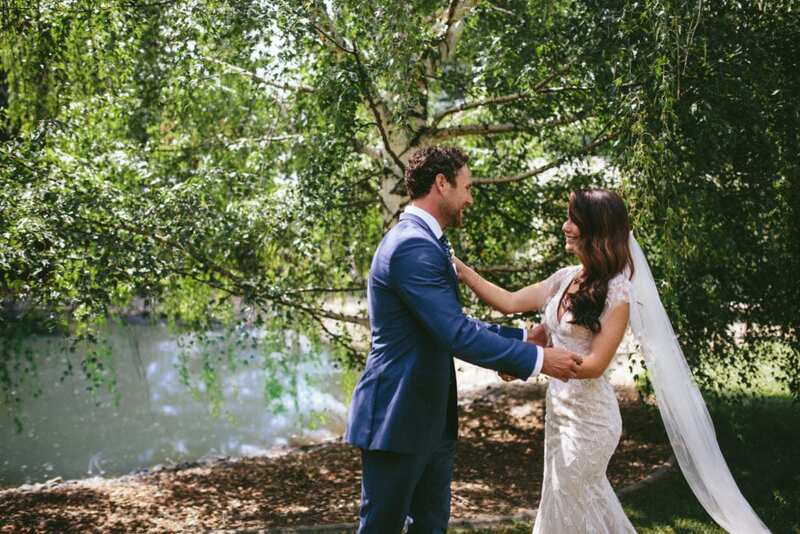 After having spent the night apart, they would see each other again for the first time before the ceremony next to a quaint little pond and under a lazy willow tree. There they met, back to back, and with tears in their eyes and shaking hands, they read aloud letters that they had handwritten to each other expressing their love and gratitude for one another. Once the letters were read, he turned to see his stunning bride for the first time. 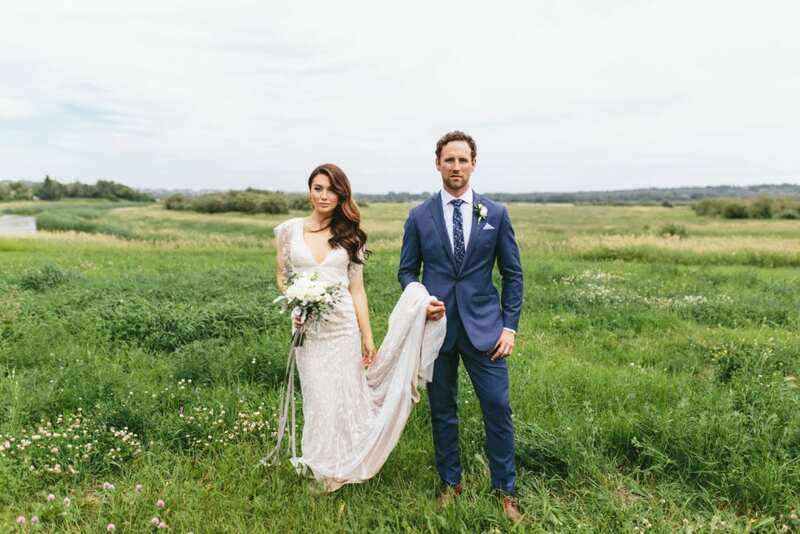 After the bride and groom shared an intimate moment together following the first look, they walked up the hill for portraits on an elegant antique couch and lace backdrop set up by the bride and her best friend who had collected the sentimental items from various friends and family. Photographs with the bridal party were then taken down the road at a friends farm in front of a gorgeous white and cream barn with a rolling river through the field. 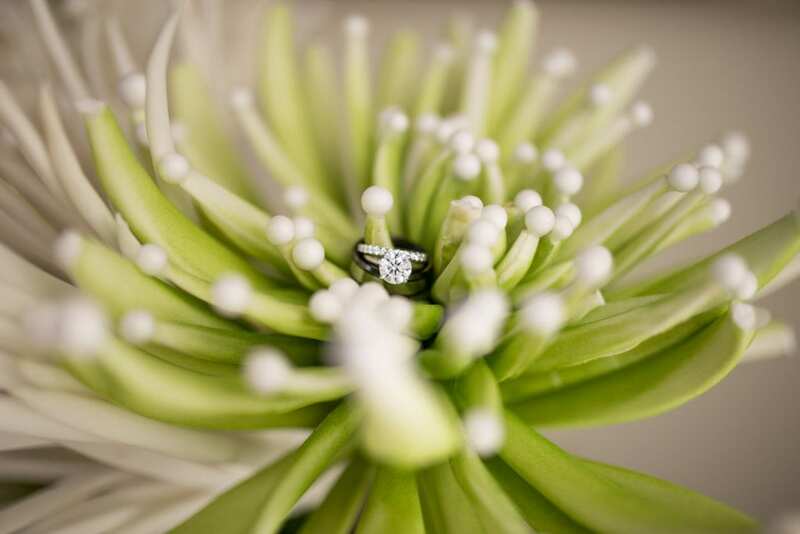 From there they continued on to the ceremony location at Blackhawk Golf Course. The father of the bride had refused to see his daughter’s wedding dress, and could not hold back his emotions when he saw her for the first time. 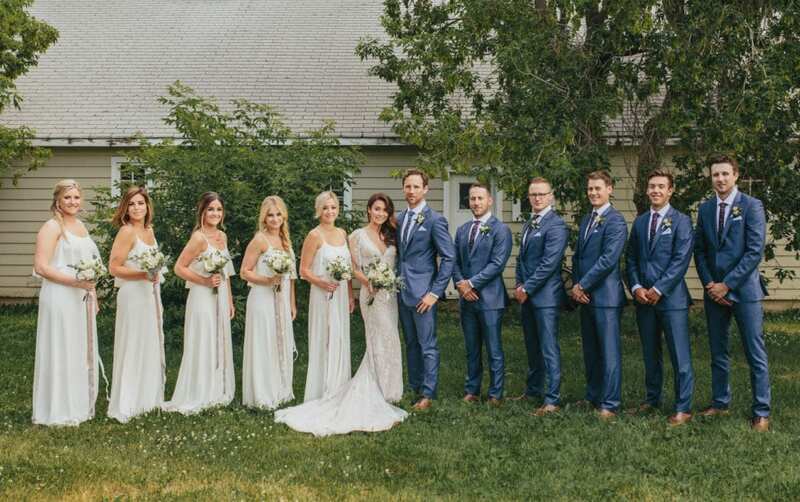 When the bride was carted to the ceremony location, the bridal party and groom had already started down the aisle. 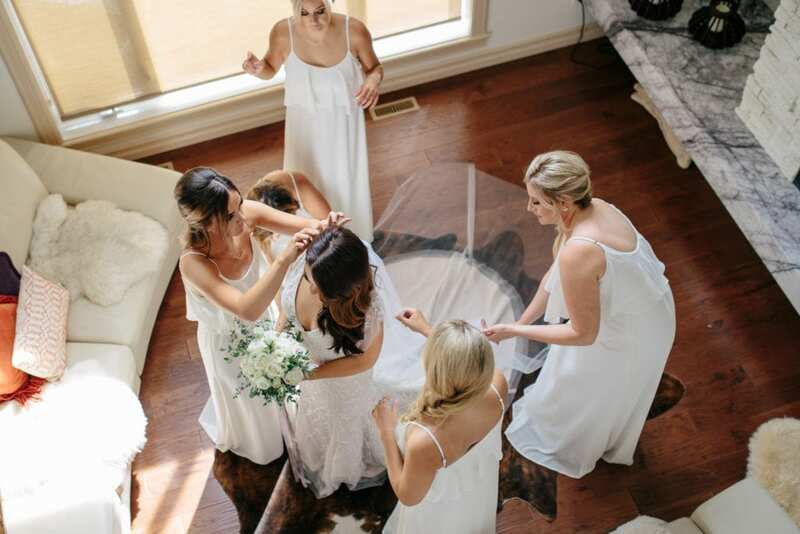 The bride had a special surprise waiting for the groom and her guests as she made her way down the aisle in a different wedding dress than the one he’d originally seen her wearing. 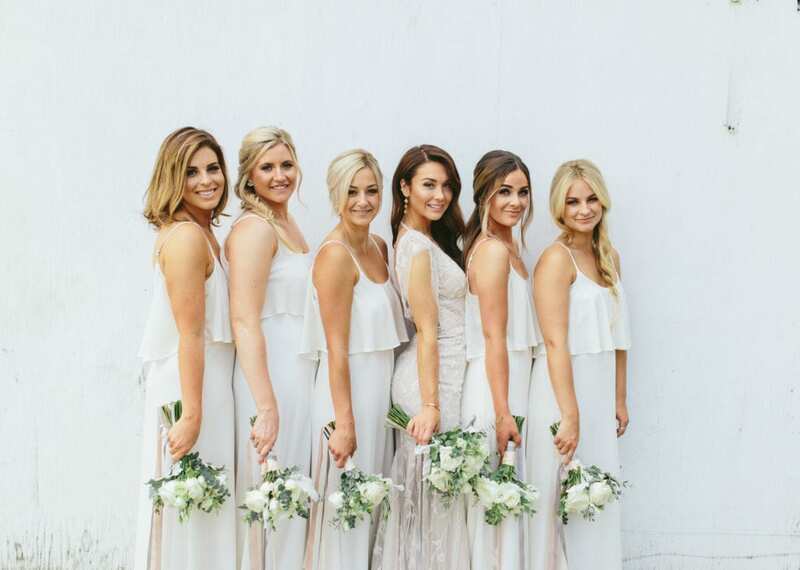 Just like her father could not hold back his tears at the sight of his gorgeous daughter, Ryan could not help himself from shedding a few tears at just how beautiful his bride was dressed all in white. Kirsten’s mother, a professional judge, choked back tears as she officiated their wedding, making the event all the more special as she not only legalized the marriage but gave her special blessing to the newly married couple. 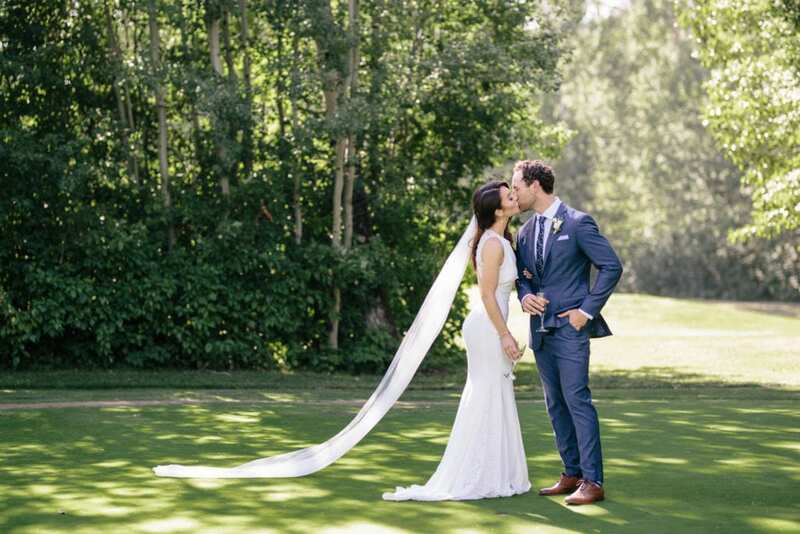 The newlyweds then walked back down in celebration after being named husband and wife and were immediately carted down the to the practice green where they shared a bottle of champagne and took some time to themselves to soak in the excitement of being Mr. and Mrs. Stanton. Hugs and congratulations were given, and we all went back up together to the clubhouse for the reception and fun to begin! Dinner was served, speeches were given and toasts were made. Their first dance was as sweet and romantic as their love story.